A brand committed to change. 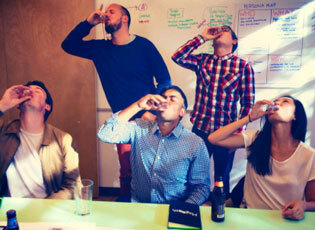 “There’s got to be a better way to get ahead,” thought Magoosh CEO Bhavin Parikh. Frustration with limited options and exorbitant costs for test prep drove the creation of Magoosh. 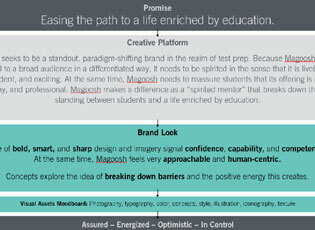 A truly purpose-led brand by conception, Magoosh wanted to make it easier for more students to reap the rewards of advanced education and change their lives in meaningful ways. 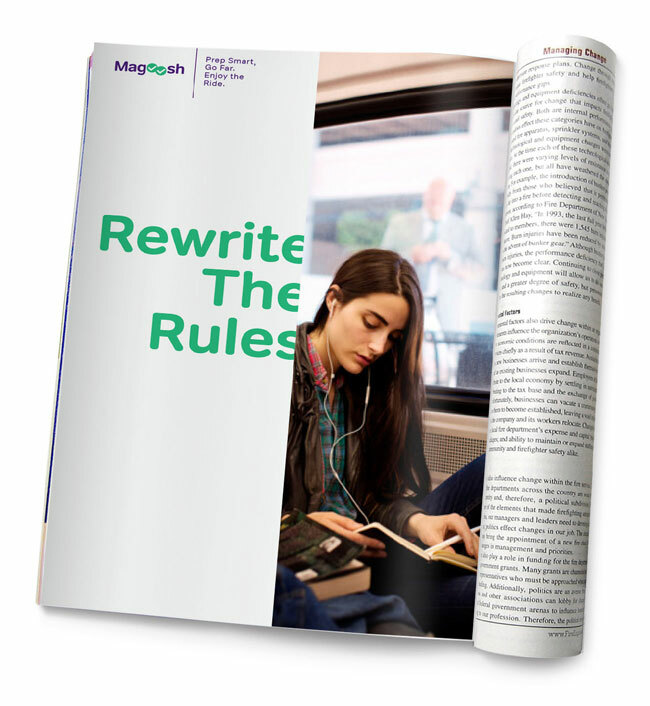 In order to do this, Magoosh needed to break through traditional test prep practices and create an engaging online brand experience students would love. 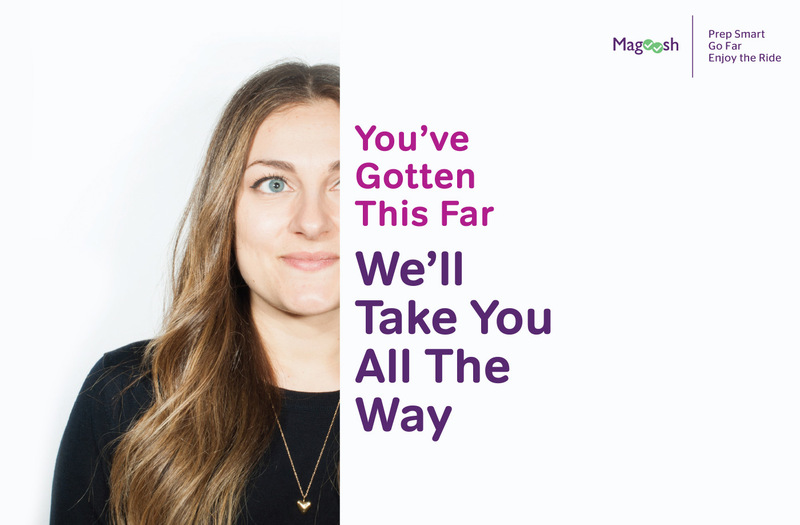 Magoosh came to Emotive Brand experiencing high growth, with a product that students do love, and ambitious goals to continue expanding their global test prep offering. But like many new, fast-growing companies leading new categories, they needed a clear brand story to drive awareness and brand recognition and position the brand for expansion. When you’re as driven to make a difference in the world as Magoosh, there’s no time to slow down or look back. It’s full steam ahead. Purpose. If you have one, flaunt it. Let’s face it, most brands live in crowded ecosystems. A meaningful brand purpose can help a company stand out from the crowd in truly meaningful ways, helping everyone understand why the brand matters and why they should care. Highlighting a brand’s purpose not only creates pride among employees, it develops a deeper connection with everyone the brand touches. If you want to be a disrupter. Be disruptive. The most successful disruptor brands don’t go to market touting disruption. 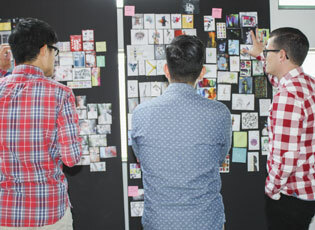 Instead, they concentrate on building great technology and delivering brand experiences that have emotional impact. Understanding why people love a brand helps direct the brand strategy. 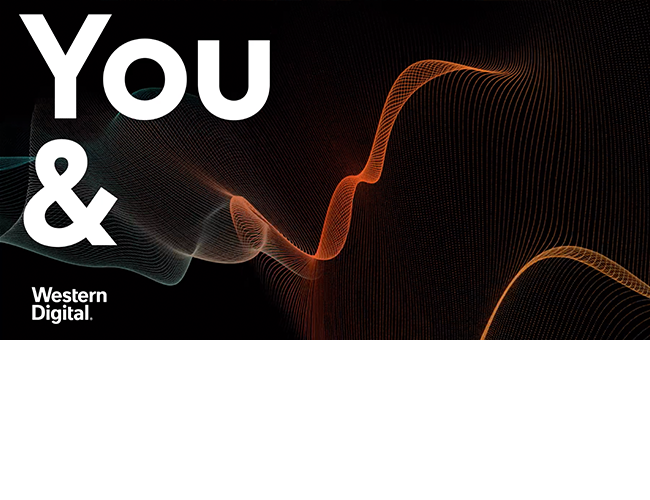 It helps us create systems and approaches to ensure the brand always delivers the right emotive impact. You can’t simply tell people you’re disruptive. You need to make people feel it. Teach a person to fish. As brand consultants, we are born to lead. In fact, that’s precisely what we are hired to do. When we solve problems for C-level entrepreneurs and executives, it’s rewarding to us because we learn so much. 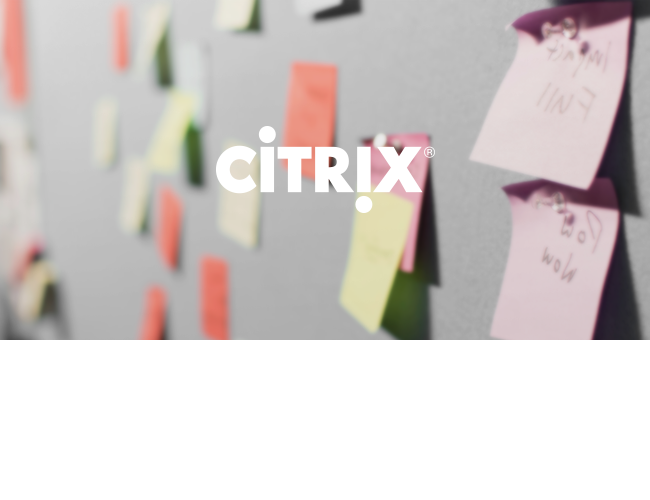 We see how the brightest minds work and watch how leaders run their businesses, make decisions and manage their teams. It’s like an MBA course each and every day. And the lessons we learn benefit all our clients. A brand potential that matches your potential. 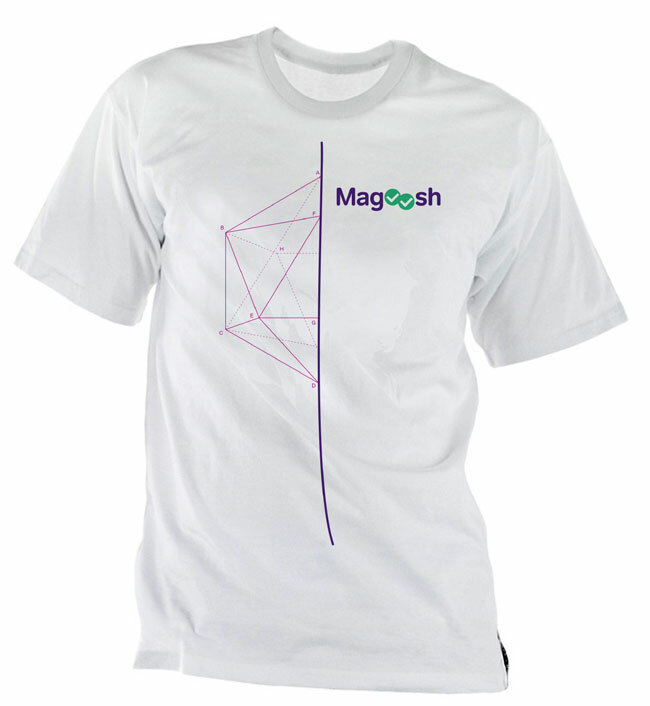 Magoosh is about possibilities. About seizing an opportunity today that will pay off tomorrow. 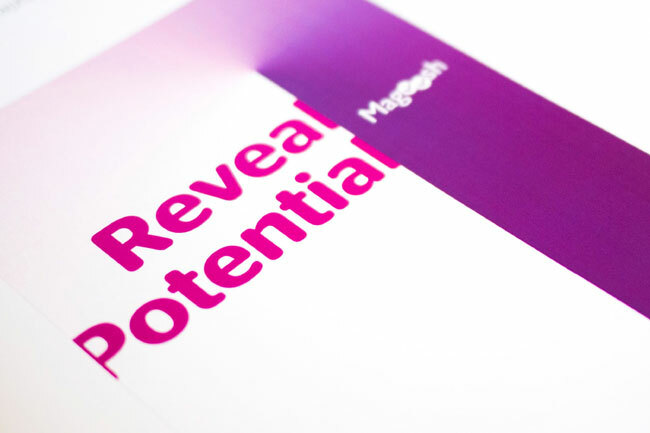 The Magoosh brand identity is about the enthusiasm of seeing around corners and looking to the future. 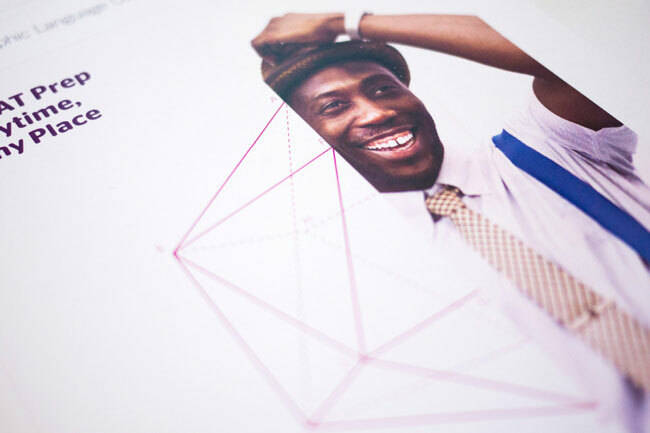 The visual concept revolved around the idea of breaking barriers and revealing your potential. This came to life through the simple use of a graphic dividing line that created a strong juxtaposition between photography, typography and texture. A soft yet energetic way of showing how barriers are broken. A Magoosh texture was developed that we refer to as the “burst.” It bridges the divide, breaks barriers and ignites potential. Zero in on the biggest shifts. In our workshop for Magoosh, we uncovered a significant shift they wished to make: Shifting people from fearing test prep to getting excited about learning. With that meaningful mission in mind, we made sure to capture their energy and optimism and infuse it into everything, from the tagline to the brand voice to the visual identity. Ask and you shall find. Make a lasting impact through emotions. 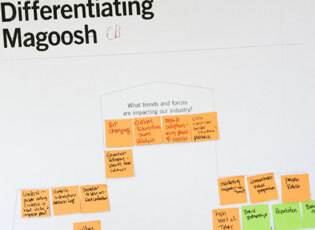 To elevate the Magoosh brand experience and achieve our strategic objectives, we defined the core emotions the Magoosh brand should evoke across all channels. When they realized that a clearly defined emotional impact influences everything they do and say, it was an aha! moment. A new and different brand look can be exciting and overwhelming at the same time. 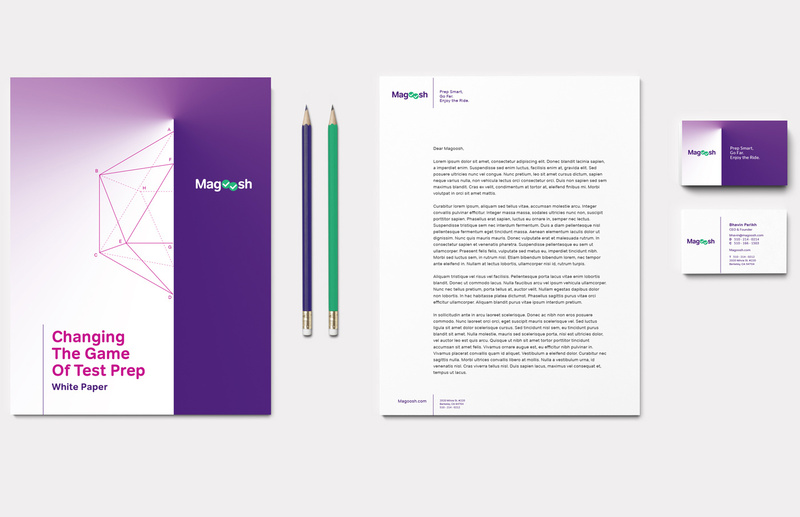 For Magoosh, they loved their new visual identity, but needed help getting it out of the starting gate. Our creative team explored the brand potential, showing how to activate the brand online, in advertising, collateral, and workplace branding.